Last Saturday I heard a terrific wedding toast. 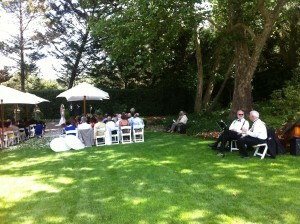 There we were, entertaining at a gorgeous wedding outside the Madrona Manor on the hottest day of this year so far. It was 106 degrees at 3pm. Maybe the heat inspired the father-of-the bride’s wedding toast. He began with a few charming stories about “how did we all get here”. And he concluded by tying all the stories together and urging everyone to “go for it”. That is, to set your heart on a goal and pursue it with all your might. In a brief way, it was similar to Steve Jobs’ 2005 commencement address at Stanford University. You’ve heard it? This speech is one reason so many people, myself included, admire Steve Jobs and the values he cherished. Back to the wedding toast. It often contains praise for the happy couple, a few jokes, and some excellent advice for living well. Similar to many of the school commencement speeches we’re hearing these days. I’ve witnessed some remarkable wedding toasts over the years. Now I’ll be paying more attention to them, and I’ll report a few more here from time to time. 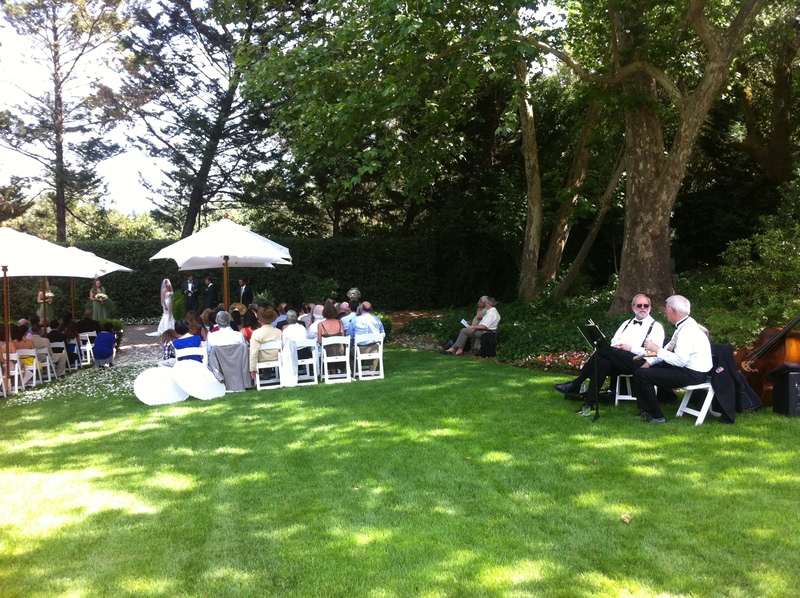 Planning music for a wedding reception is one obvious way to personalize the celebration. I help people plan their wedding music and party music all the time. And of course, the wedding toast is another wonderful way to personalize the festivities. Personally, I enjoy hearing toasts, and occasionally giving them. In fact, I recently posted a New Year’s Eve toast in my blog. Not a wedding toast, but the sentiment is real, just the same. How about YOU? Are you preparing a wedding toast? Ever deliver one? Not a wedding toast — but an anniversary toast for my sister’s 25th coming up. I will have to make it as personal as possible. Thanks for the inspiration! Interesting…I never thought of how a wedding toast and a commencement speech could be similar. Now I am going to be watching. Is it bad that I don’t even remember the toast at our wedding?